CAPTAIN Ludwig Stulping (Liudvikas Stulpinas) was born on December 4, 1871 in Zarenai parish, Jomantai, Lithuania. He would be 40 at the time of the Titanic disaster. Stulping lived with his parents until he reached the age of fif­teen. He began his sea career from 1886 to 1892 by serving as a cabin boy, later graduating to Bosun. He studied at nautical college and worked in his local port, taking occasional voyages, often as an AB. Obtaining his higher certificates, Stulping joined the Russian East Asiatic Shipping Company and, when that company pio­neered the sea route of LibauNew York in 1907, Stulping was chosen as Third Officer of the ss Linava. 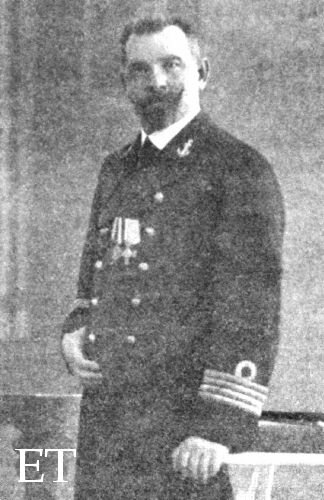 Stulping subsequently rose to become the Second and later First Officer of the company steamer Estonia. In 1909 he ob­tained his first command, becoming Master of the steamship Lithuania. 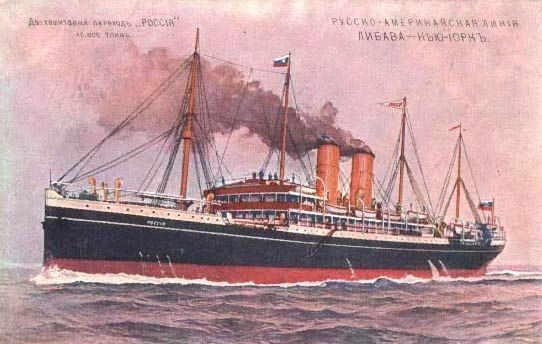 From then until 1918, Stulping enjoyed captaincy of some of the largest vessels of the company, including the Birma and the Russia. He was Master of the Birma in 1912 when he attempted to come to the aid of the stricken Titanic (Russians to the Rescue). 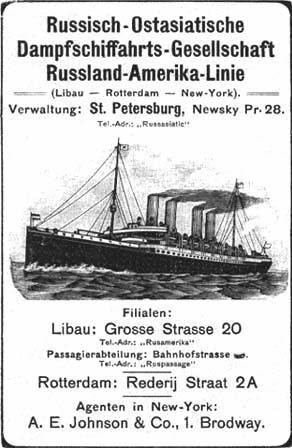 SS Russia in a postcard and a contemporary company advertisement. Later, Stulping spent much time running to Spitsbergen in the Arctic Circle - a Norwegian territory which would prove to be a major resource of coal. Ironically, also prospecting and exploring in Spitsbergen at this time was Henrik Naess, an officer on the Samson in the North Atlantic in 1912. Stulping, in time, became Lithuanian honorary consul in Libau, then a part of Russia, and now a seaport in Latvia. But in 1923, when Lithuania regained some territory from Russia, Stulping moved home to the maritime town of Klaipeda, where he buried the anchor as Harbourmaster of the busy local port. He died on July 15, 1934, and is buried in Smiltyne, on the Curonian Spit, overlooking his beloved Baltic Sea. 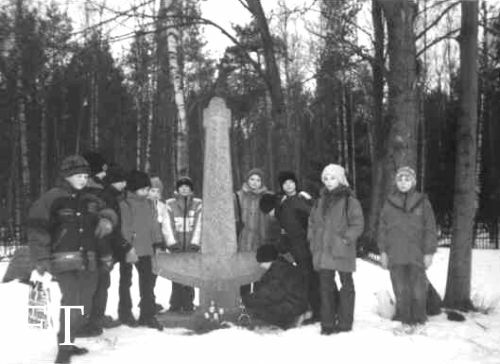 In 1991 a local school in Klaipeda was named after the sea captain and schoolchildren still visit and tend his grave (with its distinctive anchor-shaped tombstone) as a mark of respect for a life well lived.